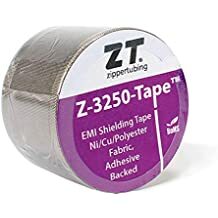 Channel Wrap Pfr - Channel Wrap - Trade Names - ZT | Zippertubing Co.
Channel-Wrap® is a wraparound sleeve that, depending on your environment, can be manufactured from a multitude of materials and offers a variety of different kinds of closure options. 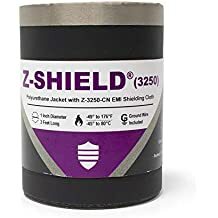 The advantage of utilizing this sleeve is having the ability to wrap the sleeve around a robotic arm, a post, a railing, or any other component, and then route cables, wires, or hoses through the channels built into the closure portion of the sleeve. Zippertubing offers custom, one-off engineering capabilities that will exceed your expectations. These particular Channel-Wrap® products are comprised of Zippertubing&apos;s best-in-abrasion, non-PVC, PFR-18 jacketing material that is not only extremely flexible, resistant to most fluids, meets Military Specifications, but is also flame retardant. We&apos;ve also found that this material best allows many of the cables, wires, tubes or hoses to easily move within the jacketing. Channel-Wrap® (PFR) closes using a Nylon Hook-and-Loop. This product was originally designed for Zippertubing&apos;s own production needs. Zippertubing currently utilizes a Universal Robot brand machine in its own production environment. Once we initially set up the robot to complete a job, we realized that we could manufacture a wrap-around robot cable sleeve that would not only securely hold an air hose line, but allow the air hose to move with each of the robots actions. Read our Channel-Wrap® case study today! If you are in need of a robot cable management product, and don&apos;t see it on our website, never fear. Zippertubing offers custom, one-off engineering capabilities that will exceed your expectations. Whether you are looking for a simple collaborative robot cable bundling product, or something that may need to handle harsher environments such as high temperatures, it may be time to contact The Zippertubing Company!